DONALD TRUMP DOESN’T CARE ABOUT YOUR KIDS, YOUR SECURITY, OR ‘YOUR PRESIDENT’ | "Global Possibilities"
He set a new debate record for contradicting himself — 15 seconds! 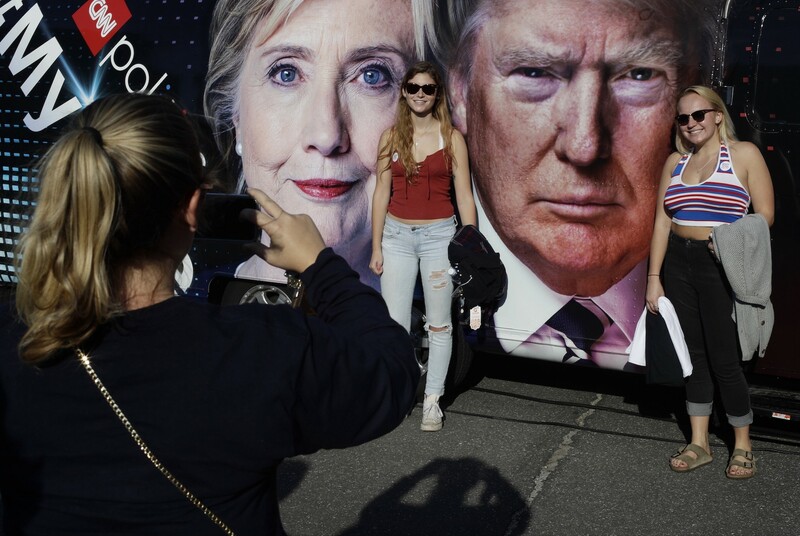 Donald Trump really wants you to know how little he thinks of the climate change threat touted by Hillary Clinton and “your President.” And he is now the (unofficial) world record holder for fastest self-contradiction in a televised debate. Here was Trump’s remarkable reply, in which he manages to contradict himself in just 15 seconds. Even for Trump, that is impressively incoherent. Huh? Clinton says nuclear weapons are the biggest threat. Trump says he agrees with her. Then he instantly contradicts both himself and what 80-plus million viewers just saw by saying Clinton thinks the greatest threat is in fact global warming. And, of course, Trump can’t help but throw in a gratuitous insult toward the president by suggesting Obama is only the president of some of us. Let me first say that debating whether nuclear weapons or climate change are the biggest threat is like an obese smoker debating whether being overweight or addicted to tobacco is worse for your health. If you don’t have strategies for dealing with both, you are in big trouble. I generally refer to climate change as the biggest preventable threat, since we know precisely the set of policies needed to avoid catastrophic climate change and the world unanimously agrees on those policies — which is not the case with nuclear weapons. Clinton’s point, which Trump ignored entirely, is that his previous statements on nukes indicate he doesn’t treat the issue as a top security threat. Who but Trump would bring up the deadly serious issue of the security threat posed by global warming during a national debate for the sole purpose of poo-pooing it? Again we see his disdain for a problem that jeopardizes the health and well-being of our kids growing up today as much as any other. Tragically, Trump’s dirty energy policies would ensure global warming becomes the top security threat for Americans in the coming decades. 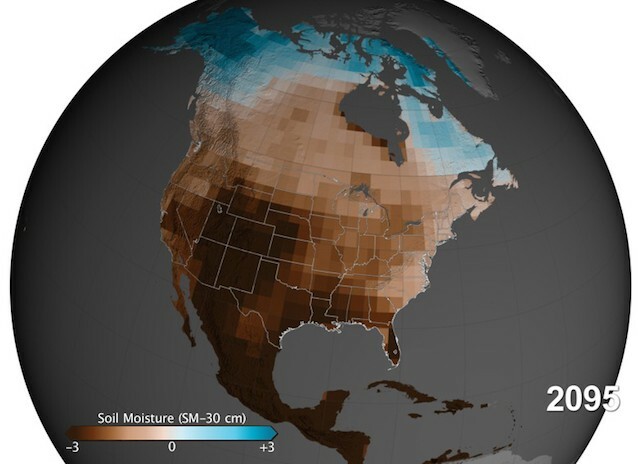 If we don’t take far stronger action on climate change, here is what a 2015 NASA study projected the normal climate of North America will look like. The darkest areas have soil moisture comparable to that seen during the 1930s Dust Bowl. Our poorer neighbors to the south will be engulfed by near-permanent Dust Bowl or severe drought. And of course their coastal areas (and ours) will be trying to “adapt” to sea level rise of several feet by 2100. That means much of the population of Mexico and Central America — tens of millions of people — will be trying to find a place to live that isn’t anywhere near as hot and dry, and that has enough fresh water and food to go around. They aren’t going to be looking south. Trump would be creating the perfect conditions for failed states and violence in North America for decades to come.